At the tip of the Leelanau Peninsula, Northport is an historic town known for its fine marina, beautiful parks, friendly downtown shops, scenic beaches, and the annual Northport Dog Parade and Wine Festival. Northport is less than a 20 minute drive north of Leland, or Suttons Bay...so if you're visiting one of those towns, it's definitely worth the small drive to explore another town rich with history and full of fun activities. Leelanau State Park: At the tip of the Leelanau Peninsula, there are over 8 miles of trails and the shoreline here is a great place to look for petoskey stones. Grand Traverse Lighthouse: Located inside the Leelanau State Park, the lighthouse has a beautiful view and fascinating history. Wineries: Leelanau County is the heart of Michigan wine country, and you will find many wineries nearby including Green Bird Organic Cellars and Leelanau Wine Cellars. Downtown Northport is a gorgeous village with historic buildings that make you feel like you are walking through a story from long ago. Behind the quaint and charming setting, downtown shopping offers refined style and taste in the form of upscale boutiques and galleries. 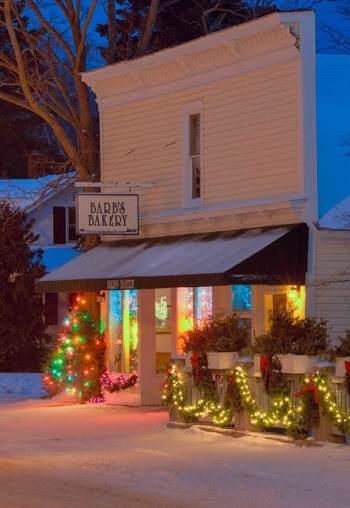 Shops include Northport Pottery, Pennington Collection, Boutique by Marykent, Joppich’s Bay Street Gallery, Wright Gallery and Barb's Bakery. Several restaurants and wineries are available for your taste buds to explore. In the summer, you can enjoy the farmers market and music in the park on Fridays. 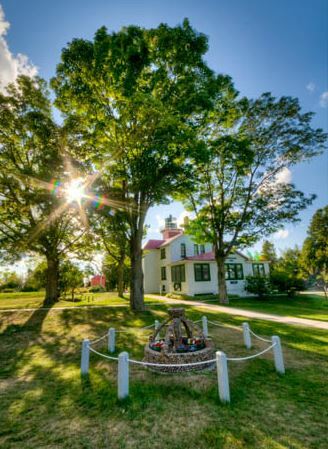 Less than 15 minutes north of Northport, you'll find the Grand Traverse Lighthouse located in the Leelanau State Park, at the very tip of Leelanau County. The Grand Traverse Lighthouse is just outside of the Grand Traverse Bay, where it meets Lake Michigan. A recreation sticker is required to pass through the Leelanau State Park to get to the lighthouse. The Leelanau State Park includes over 1,300 acres of land for visitors to enjoy. The park has a rustic campground, two mini cabins, 8.5 miles of hiking/skiing trails and a picnic area, as well as the 47-foot Grand Traverse Lighthouse. At the lighthouse, visitors can take a look in the museum and tour the historic restored lighthouse resembling a keeper's home of the 1920s and ‘30s. Visitors even have an opportunity to stay at the lighthouse for a week and be the lighthouse keeper. The summer months are usually the busiest season in most Michigan communities. In Northport, there is plenty of beaches to play on, water to explore, campsites to stay at and trails to hike. 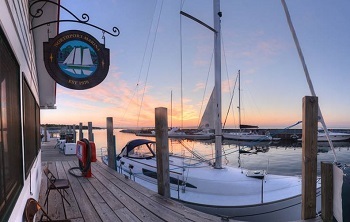 Located right on the water of Northport Bay, the Northport Marina is a beautiful place to visit and take in the gorgeous views of the bay. Northport is also a great place to fish, lay on the beach or explore the waters on a sailboat, kayak or canoe.